Developing the perfect Morning Routine that maximizes your lifestyle and predilections while squeezing the most productivity out of your days is a trial-and-error process. One size doesn’t fit all. You have to know yourself in order to customize the best morning routine. Do you need coffee to even get into the shower? Then build it into your routine, and prepare your coffee maker the night before, so you simply have to wake up and hit the “on” switch. The good news is that there are best practices in the morning that have been proven to make the most of time and capitalize on the body’s biorhythm and that have been widely practised by wildly successful business moguls and entrepreneurs. Branson is joined by other celebrated early risers, such as Apple CEO Tim Cook (4 a.m. wake up), Twitter CEO Jack Dorsey (5 a.m. wake up) and Starbucks executive chairman Howard Schultz (4:30 a.m.). 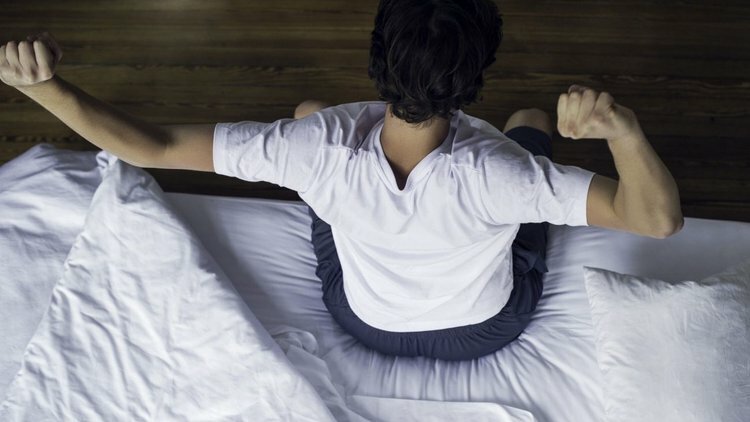 Research clearly shows that the majority of successful people (meaning executives and millionaires) wake up well before the work day actually begins. By waking up early, you can exercise, walk your dog, meditate, spend time with family and get a jump on the day before you get worn down by the day’s responsibilities and events. It’s not until the end of one work day that you clearly understand what needs to get done the next work day. So at the end of the day, write down what needs to get done the next day, like entrepreneur and Shark Tank investor Kevin O’Leary does. Author Mark Twain famously said, “Eat a live frog first thing in the morning and nothing worse will happen to you the rest of the day.” Twain meant do your hardest (that one you don’t want to do) task first, and his words to live by have been embraced and demonstrated by overachievers for generations to come. Tackle the hardest thing while you still have the reserve of mental and physical energy. After you wake up, hydrate; you’ve just gone for a long stretch of time without drinking any water. Water perks you up and gets your muscles and organs working, says Rania Batayneh, nutritionist and author of The One One One Diet, who recommends that everyone start their days with a glass of water. “One of the biggest indicators of lethargy or low energy is that you are dehydrated,” Batayneh says. So that’s why power players, such as Huffington Post founder Arianna Huffington and Kat Cole, president of FOCUS Brands, the parent company of Auntie Anne’s, Carvel and Cinnabon, start their mornings with a tall glass of water — or in Huffington’s case, hot lemon water. Not surprisingly, a 2016 study from CareerBuilder cited that cell phones and texting are the biggest productivity killers at work. Constantly checking your smartphone can seriously impede your ability to focus and finish tasks, so simply limit your mobile phone access. That can mean putting it in a drawer or locker — and checking it at designated times — or turning it off completely and turning it back on during lunch hour. In fact, Arianna Huffington, founder of The Huffington Post and Thrive Global, teamed up with Samsung earlier this year to create an app called “Thrive,” which suppresses the notification features on your phone for a programmed period of time with the exception of a VIP list of contacts who can reach you. Everyone else who tries to text you will receive an automatic notification letting them know you are in “thrive” mode.” (That’s not smug at all.) The app will be available starting Dec. 15, 2017, in the Samsung app store. Want to wake up early but it’s still dark out? Turn on the light. Whether it’s natural or artificial, light is significant because it tells the brain that the day has begun and sends signals to the body to stop producing melatonin, the hormone that helps regular sleep, says Dr. W. Christopher Winter, medical director for the Martha Jefferson Hospital Sleep Medicine Center in Charlottesville, Va.
“If it’s dark when you want to wake up — say 5 a.m., for example — you can fool your brain into thinking the sun is up by using bright indoor lights,” Winter says. Richard Branson, Sheryl Sandberg, Mark Zuckerberg and Oprah Winfrey all do it. These intensely productive and powerful business leaders work out first thing in the morning. Exercise gives them energy, motivation, physical and mental stamina and magnifies their day-to-day productivity. There’s real science behind the correlation between mental sharpness, memory and exercise. According to Harvard Medical School’s journal, working out causes your brain to secrete a chemical called neurotrophic factor, which boosts brain function. Tony Robbins and Oprah both opt for healthy and high-protein breakfasts, which is key for focus and productivity throughout the day. Lifestyle expert and registered dietician Lisa De Fazio explains that your first meal of the day should be a balance of high-fiber carbohydrates and lean protein. The protein makes you feel full for longer and the high fiber carbohydrates regulate your blood-sugar levels. While Robbins opts for a high-protein breakfast and has been reported to eat unusual selections, such as fish and salad or quinoa and hummus, Winfrey is a fruit-o-phile and eats blueberries, strawberries, raspberries and passion fruit, along with some slices of multigrain toast. Media moguls Oprah Winfrey and Arianna Huffington both meditate first thing in the morning. They’re not alone in this practice, and studies show that daily meditation reduces stress and anxiety in the brain and improves employee performance. Meditation provides the mind with a daily single-task workout so you can remain focused on completing one thing at a time, instead of being mentally pulled in multiple directions. Not only does it reduce stress, but you become more productive through the ability to stay in the here and now. To get enough sleep, avoid drinking coffee five to seven hours before bedtime. Also, create a sleep-friendly environment in your bedroom that is free from screens (which hamper the production of melatonin) and engage in a sleep routine that cues your body that it’s time for bed. This can be anything from a warm bath to reading a book (not on a screen) to meditating. Arianna Huffington became a well-known “sleep crusader” after she collapsed from exhaustion in 2007 and wrote a book about her experience and the importance of sleep in The Sleep Revolution. She has a routine that helps her wind down, according to Fast Company. “First, she turns off all her devices 30 minutes prior to bedtime and escorts them outside of her bedroom. Next, she takes a hot bath, which ‘washes away the day, slows down my brain, and winds down my body.’ She opts for dedicated pajamas instead of what she used to wear to bed — gym clothes — and only reads physical books that ‘have nothing to do with work’ when she’s under the covers. These tend to be poetry, philosophy and fictional books.” Huffington tops off her ritual with writing down three things she’s grateful for. Whatever your sleep routine encompasses, make sure it emcompasses seven to nine hours of sleep a night. Don’t waste time or brainpower making low-level decisions. You have enough daily decisions, so minimize them by creating routine in the unimportant decisions, such as with what you’re going to wear, eat and do as soon as you rise. Mark Zuckerberg has built this strategy into his routine by famously wearing a uniform of sorts everyday — the same grey T-shirt and hoodie — and he’s not alone in this approach. Barack Obama took a similar approach to his clothes and breakfast. Jack Dorsey has his routine of a two boiled egg breakfast, 30-minute meditation and seven-minute exercise routine (repeated three times) down pat and has said of it: “I look to build a lot of consistent routine. Same thing every day.” According to the Twitter and Square CEO, this enables him to be effective during work’s more unpredictable moments running two companies. This daily practice can not only push our mindset in a positive direction, but it helps overpower the less helpful emotions that can stunt and paralyze us, such as fear and anger. Gratitude really can make a difference. Reading is strongly correlated to success factors, such as income and job position, according to Tom Corley, author of Rich Habits: The Daily Success Habits of Wealthy Individual. The driven read to not only learn and achieve more in their industry but to be aware of current events and how it affects their business. Many of the business greats do a lot of it in the morning — Warren Buffett and Richard Branson, to name a few. After Richard Branson wakes up, he exercises and “then I eat breakfast and spend time with my family,” he writes on his blog. “Exercise and family time put me in a great mind frame before getting down to business”. Jeff Bezos eats a leisurely breakfast with his family, too. It makes sense. Morning time is typically when people are the least drained. Breakfast is said to be the most important meal of the day. So combining a time when you’ve got energy with your family can build in genuine happiness. This connection with home can help tackle the day ahead.